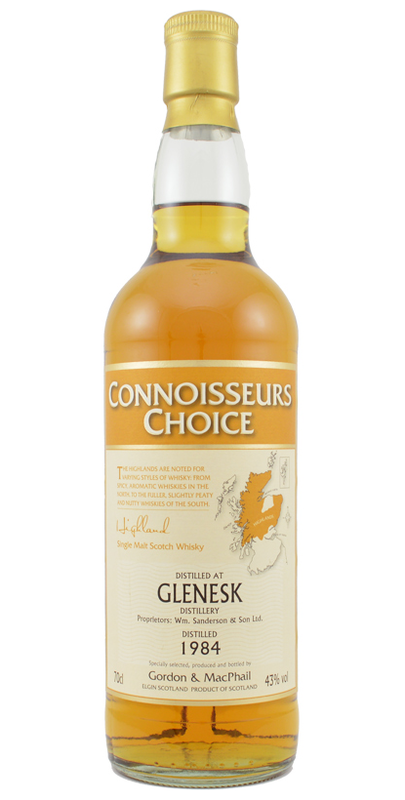 From a refill sherry hogshead comes this fantastic Glenesk. Fruit, light oak and mix of sweetness from berries and nuts in the smell. Maybe some wage hint of marzipan as well in the end. It is very light and smooth in the taste. Delicate fruity notes and gentle nice wood influence. The finish is just smooth sweetness and the light fruits in the background. This is a very gentle dram from a rare distillery. I like the balance and the way that every component from smell to finish seems so gentle and smooth. I will rate this 90/100 (22/23/22/23).